Guest Post: House News, a leading ‘Huffington Post-style’ pro-democracy news site disappeared from the internet suddenly last weekend. Its archives were also deleted – but was it really about money? Ex-columnist Evan Fowler reveals the truth about its demise, in what is yet another blow for press freedom in Hong Kong. The House News shut suddenly last Saturday. At lunch I was online checking news. Then came a cryptic message from an editor at House. 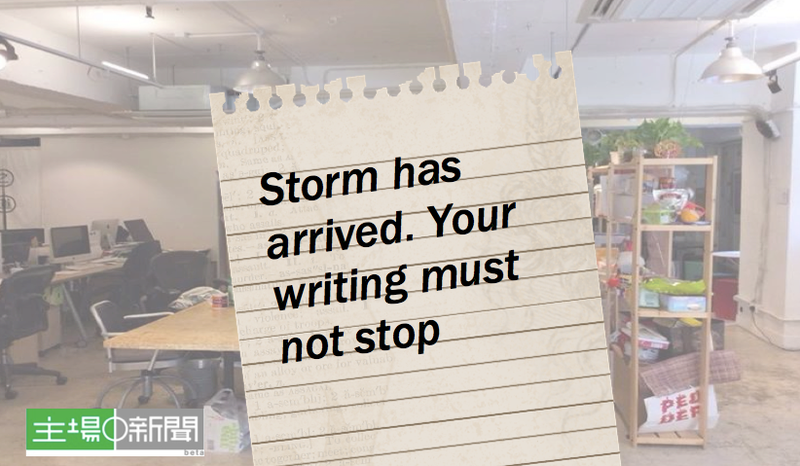 It read, “Storm has arrived. Your writing must not stop”. I immediately checked online. Instead of a news page there was only a written statement from Tony Tsoi Ho Tung saying that House News has closed.Making allowances for translation, Tony began by stating his “fear”. He wrote of Hong Kong having changed; of pressure and surveillance; and of a wave or atmosphere of “white terror”. He also stated his need to travel to the Mainland for business, and the deepening sense of fear he felt each time he crosses the border. It is a feeling he “can’t articulate to those not in his position”. Unusually, he chose to mention his family within this context of fear. He writes of their fears for him and of an increasing hostile atmosphere. It was a fear felt not by his person alone, but by his family. Everything else he states is framed by this fear. He states that whilst the numbers for House would suggest it to be a successful business – in just over 2 years it has grown to become Hong Kong’s largest online serious news platform with over 300,000 unique readers a day – it finds itself operating in an “abnormal social and market atmosphere”. “Not only are Hong Kong’s core values distorted, so too is the market”, he writes. “In a dysfunctional market, to be a normal citizen and businessman is an error and a fantasy.”House News, as the mainstream media (including the SCMP) would report the day after, closed because it was a failed business. It operated to an unsustainable business model. Almost exactly a month ago I was a guest of House News at their second anniversary party. They were releasing a still and video campaign that profiled 4 prominent contributors. I was one. I arrived early for photographs and to give a short interview to a local magazine, and stayed until the end talking with old and new friends. The Asia editor of a major European paper, who was in town researching for an article on the upcoming July 1st demonstration, was so impressed he told me he planned to write a piece on House. “I’ve sense so much tension and negativity in Hong Kong, but also hope, and nothing represents this more than House”, he said. Chatting to Tony and everyone present their was indeed an unmistakable optimism. House was soon to be lauded by the Economist as the stand out example of an independent news in Hong Kong. The first two years of House News were celebrated looking forward to a seemingly promising future. Whilst House had run at a lost since it started, these losses I was told were both manageable and within expectation. The collapse early this year of a deal opened with Ming Pao did strain finances, but I was assured that new income streams had been and the hole was well on the way to being filled. Indeed, about a week before Tony and another senior person at House had confirmed to me that Houses finances were acceptable. “We have Hong Kong’s big three advertising with us”, I was told, “Mercedes, BMW and Audi”.As a contributing writer I was not privy to account details. I can not state that House did not find itself in financial difficulty a month later. Perhaps it did. But if the situation did change so rapidly, if the market could distort so quickly and to such a degree as to force House’s closure, I find myself questioning how and why this could happen. As a Hong Kong person I was proud of House News and of what it represented. In its success I saw the spirit and determination of Hong Kong people to come together as a community in times of need; an example of the much feted Hong Kong spirit to find opportunity in adversity and in our own ability to fashion our own solutions to those problems that we face. House News was never founded as a business. Whether true or not, there is a growing feeling, especially among the young, that Hong Kong’s mainstream media is no longer free to represent the full diversity of perspectives within this city. House News was our answer to these concerns. When once the mainstream media represented diverse perspectives and political positions, today only Jimmy Lai’s sensationalist Apple Daily has not turned towards the official line. Non-mainstream sources, such as Peoples Radio, are also openly and often radically political and suffer accordingly from triad visitation and punitive legal action. With the centre hollowed out many in Hong Kong began to seek new and impartial sources for local news. House was different. It was established not as a pro-democracy news platform (as the SCMP reports) but as a truly open platform free of any editorial position. All views were welcome. It also distinguished itself from it’s competitors by the level of transparency it offered, providing clear links to article sources and being open about any form of payment or association the company may have with contributing articles or reports. 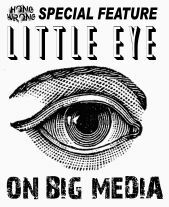 As many Hong Kong people, myself included, found personal experience too often not correlating with what was reported in the mainstream press – as the view from the street, so to speak, became increasingly distant from the headlines and framing of the news – House arose to provide alternative perspectives. These were perspective not only of paid or professional writers but also of ordinary people on the street. As a writer at House I was often asked whether House was connected with Jimmy Lai. It was not. I was asked whether my position on democratic reform or my perspective on Hong Kong was in any way shaped by House. Again, it was not. I wrote for House because they provide me an opportunity to write freely. My writing, often to my chagrin, was unedited. I was under no pressure, whether imagined or not, to censor or frame my writing within certain boundaries. For all the seeming lack of professionalism in this approach, it was what many readers wanted to read. House News’ success was due to its neutrality. This gave it a respectability if not in the quality of reporting then in the opinions it dared to voice. It is also my belief that its respectability played a part in its closure. With the high turn out for the Occupy Central organised referendum on political reform there was an expectation at House that pressures may be applied to silence the site. 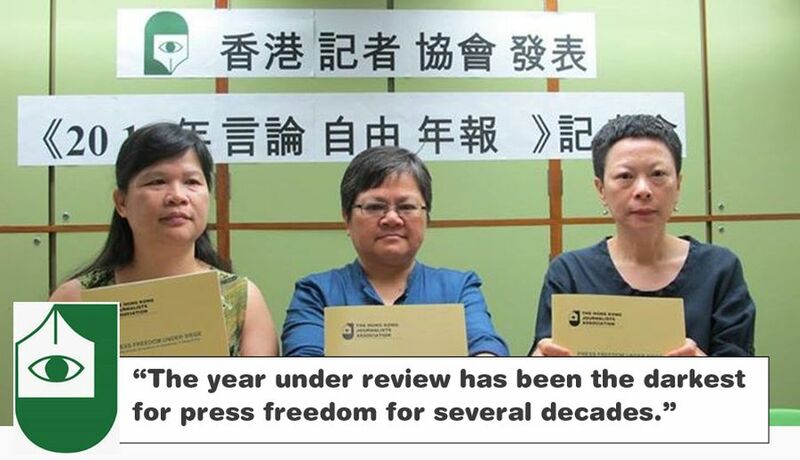 The Hong Kong Journalists Association at a press conference last month. When I last saw Tony, at lunch on the day of the demonstration, there was no indication at all that there would be any problem. He commented enthusiastically on a story House was running at the time that reported that local TV station would be showing pro-democracy protest films including Pablo Larrain’s 2012 film No. If Tony felt fear that day – which I believed he did to a degree – it was, like the finances of House, “manageable and within expectation”. Two weeks later something changed. Heading in to House to meet my usual contacts for our weekly meeting I was told not to come to the office but to meet instead at a nearby restaurant. It was an experience that shocks me today. As we sat down I was passed a note on a paper. It just said “storm”. I was prevented from talking freely or to ask questions. What I read included the following words: crackdown, massive, not secure. There were no details. Although I kept writing, I would not visit the House News offices. A few days later I was sent a message from gmail informing me that my account had been accessed several times from a Mainland site. It was the first time I had received such a message, so I asked for assistance. I was advised to get a new computer, and I understand that the incident was reported to House. Again, I thought nothing of it. In further meetings with contacts at House guarded conversations were peppered with unusual remarks, including the remark that family money being offshore “not for tax purposes” and also of an “investigation” on the mainland that threatened an editor at House. I do not wish to speculate as to what this meant. At the time my feelings were that “usual” and expected pressure was being applied, and people were just waiting out the storm. This was my take until l read Tony’s statement on the closure of House News last Saturday. There is too much about the sudden closure of House News that does not add up to it being merely a business decision. Why was the closure so sudden and unplanned? Why were alternative plans not put in place if it suffered a sudden and sharp drop in advertising income, as has been suggested? Why has Tony written about the distorted market and atmosphere of fear in Hong Kong, and of the personal fear of himself and his family? It is not that he did not know of these before. It is not as though Tony was new to the particular pressures of the game. Within a few hours of House News closing a Facebook page had appeared with many people pledging money to keep House open. Other readers contacted me in surprise that all content had been taken offline and was not accessible. House had withdrawn and deleted its most valuable commodity. The manner in which House News has closed surely raises further questions on free press in this city. It is not unreasonable to conclude that whatever the details and mechanics of the pressures that forced House to close, the level of this pressure was beyond the expectations and the ability of a man as able as Tony Tsoi. Personally I hold Tony in high regard. He is a friend. What concerns me is the thought that Hong Kong, as a market, a place to do business, and as a community of people may now be open to such a distortion, to practices that would engender such fear, as to undermine the very core upon which this city was built. Evan is a Hong Kong writer, poet and playwright who wrote regular opinion pieces for House News. His essays on identity and the culture and politics of his home are studied at select schools in the city. This entry was posted in Blog Media Watch News News: Politics and tagged blog media watch news News: Politics on July 30, 2014 by Tom Grundy. Yes, a version of it. This one seems to be written a little better. More polished.